The Sonos and IKEA collaboration that could deliver your a multiroom speaker made for your furniture? It’s coming, and it’s already impressing people. Theres little doubt that Sonos speakers are one of the best ways into the world of smart speakers and multiroom audio, but the technology isn’t always priced or even designed to everyone’s liking. In fact, with speakers that can start at $299 and require a free ledge or stand, the excellence of Sonos’ multiroom technology isn’t always in reach of everyone, and may not be designed for your particular home requirements. Recently, however, Sonos has been working with the likes of IKEA, developing a speaker that not only fits in with IKEA furniture, but might go forward and come in at an even better price point, delivering a one-two punch for the Sonos system. It’s an announcement we first heard about several years ago that could be finally coming, with word that IKEA has actually won a Red Dot Design award for the speaker after showing it in prototype form. 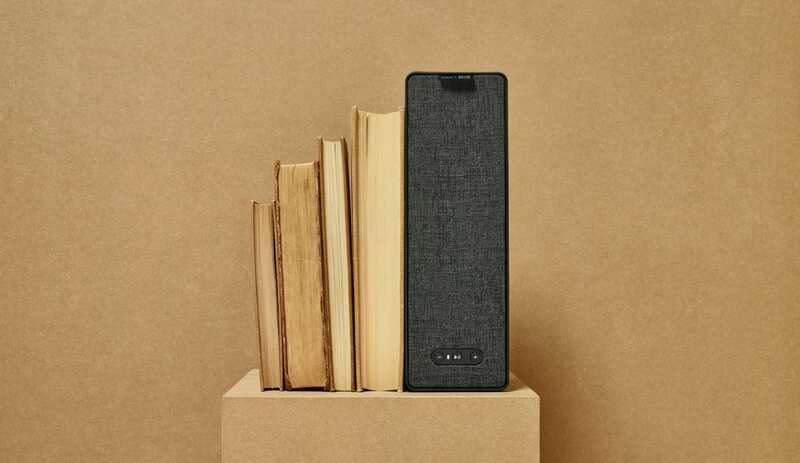 The speaker is called the IKEA Symfonisk, and is a bookshelf speaker that is IKEA’s first foray into smart speakers, offering a slim speaker designed to fit onto a shelf, be it a Billy, a Kallax, or even some form of shelf not made by IKEA. “Together with Sonos we wanted to combine our home furnishing knowledge with their expertise in creating great sound experiences for every room of the home,” said Andreas Fredriksson, Designer for IKEA. It’s not the first time IKEA has entered the smart home, either, with IKEA smart lighting products released in the past couple of years, offering compatibility with Philips Hue lighting systems. Likewise, this speaker is expected to arrive in Australia, though IKEA hasn’t been concrete about local release dates, suggesting IKEA will have the Symfonisk in August, but not stating whether that’s an international release for all countries IKEA sells in. At the moment, IKEA’s smart lighting isn’t readily found locally, even if it can be found at IKEA stores in the UK. As such, there’s no price yet, even though it is expected to fetch a price that may be easier on the wallet, much like IKEA furniture is. Mind you, there aren’t a lot of details yet, as the official reveal isn’t until April when IKEA and Sonos will show the Symfonisk speaker at a show in Italy from April 9. Hopefully by then we’ll have more details about the speaker, alongside a price, because that’s one of those details you can expect quite a few people to be interested in listening to, not just the sound out of the speaker.